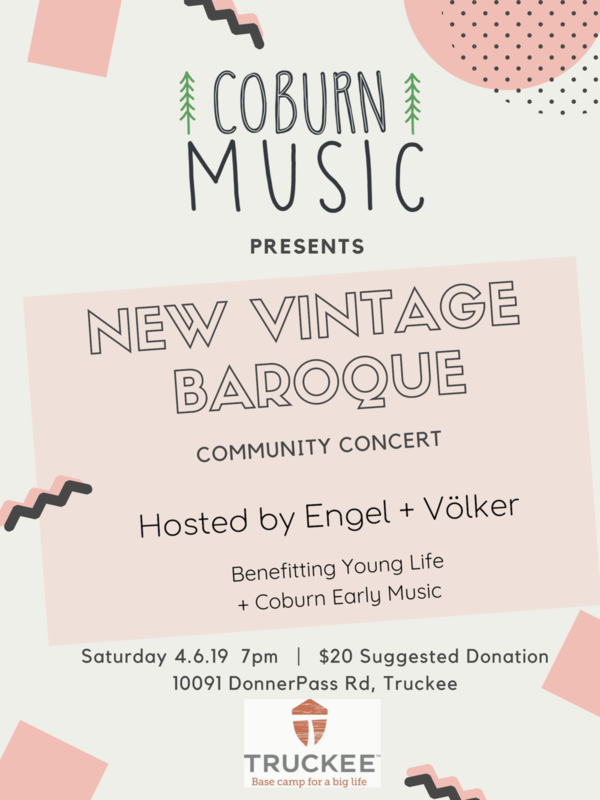 Founded by Truckee native Lindsay McIntosh (née Hollingshead), Coburn Music will launch it's inaugural season this summer with 6 pop up concerts peppered throughout the historic Downtown Truckee. McIntosh, who has been praised by The New York Times for her “thoughtfully conceived” programming, will bring New Vintage Baroque to the Truckee basin for a week-long music series this August. The program promises to enrich and engage the Truckee Tahoe community with fun for audiences of all ages. This festival is committed to bringing the highest level of historically informed early music to our beautiful region.